Not exactly what I was angling for but, at least, I didn't get skunked! 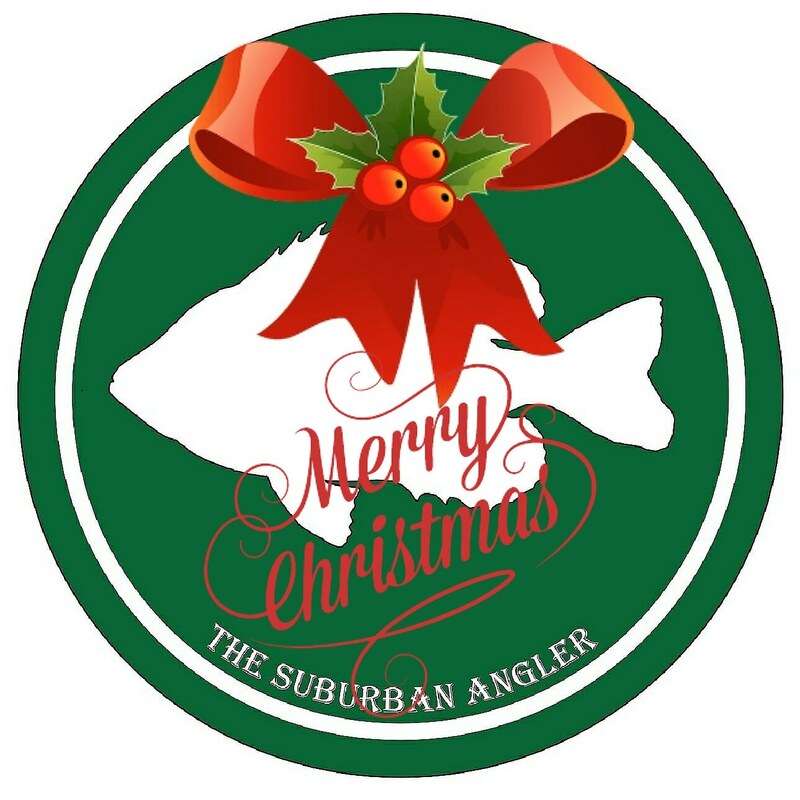 The Suburban Angler Top 9 2018! Here's The Suburban Angler Top 9 for 2018! My apologies for a light year, I'm going to work hard to make 2019 much better! What would you guys like to see in 2019? To all of you from all of us! There's a sign you won't often see in Florida! This one is on a river bluff in south east Georgia! The symbol of our nation! The symbol of our nation hanging out at the boat ramp on a rainy day! Andy and Lily Renzetti remembering Lefty Kreh at the Renzetti Fly Tying and Rod Building Fair. Bob Clouser tying at the Renzetti Fly Tying Fair! Bob Clouser tying an ostrich herl variation of his world famous Clouser Minnow at the Renzetti Fly Tying Fair! Hanging out at the Renzetti factory today! I've wanted to tour this place since I moved to Florida! Good mornin', folks!!! Once again, fall is being held on a Friday this year! Gorgeous 46° at sunrise on the Halifax River this morning! 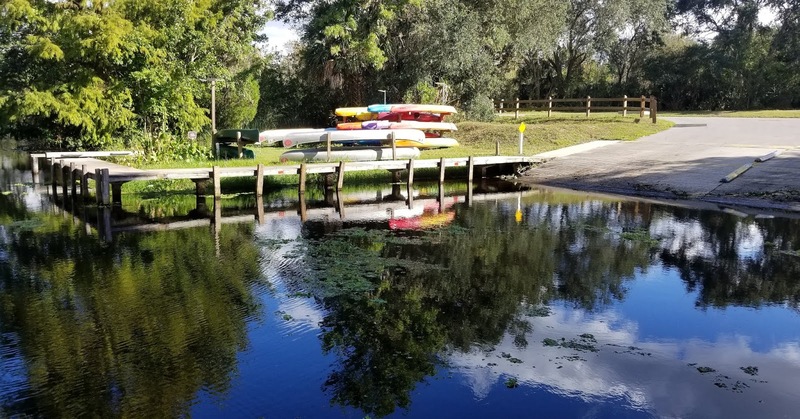 Rental kayaks and launch at Lake Griffin State Park! This requires a near perfect cast, both in accuracy and presentation. This is why you practice for more than just distance. Seems like I've been ready for this for a while now! Seems like I've been ready for this for a while now! A cool front is to push through tonight giving Central Florida some pseudo-fall, ideal camping temps! Just hope it doesn't put the bass and bluegill down because there's some very fishy looking water here!! I had to spend some money in my FSA last month, so I decided it was a good time to update and upgrade my first aid kits. I ordered three kits from Adventure Medical. The yellow is the Ultralight and Watertight .5 that'll be shared between my sling pack and kayak bag. The blue is the Mountain Series Fundamentals kit that'll stay in the truck. And, the Orange bag is the Sportsman Series Grizzly that I'll keep in the camper. I always feel better having a good FAK handy!! Good spot for a pipe break and to formulate a game plan! Study the water, rocks and cover. Mentally break the stream into unique zones. Fish each zone methodically. Lather. Rinse. Repeat. I was very impressed casting the Mauser Waterman 486 while I was in North Georgia! Testing will continue and video and write up will be posted as soon as I can get to it! Give @mauserflyfishing a follow and check them out if you haven't already. Put My Ty-Rite, Jr. To Work! Had the chance to put my Ty-Rite, Jr. to work on some size 14 Elk Hair Caddis! Makes it so much easier to hold on to small flies without crushing the fur or feathers. Wish I had more time here, I love exploring these beautiful places. Unfortunately, with the small window of time I had to fish, the trout were being very uncooperative. Got a few strikes, but nothing to hand. Probably just creek chubs anyway. One of life's simple pleasures! It was nice getting a fly stuck in the rhododendron again. One of the cool parts of attending this year's Orvis Down The Hatch was getting to sample Sweetwater Brewing Company's new Guide Beer!! A smooth, easy drinking lager, 4% ABV, perfect for cooling down after a hot float on the water. And, one of the nicest things I've heard in a while, 11% of all sales will go into a Guide Fund. Guides who have been injured or affected by natural disaters will be able to apply for a grant from the fund to help them get through hard times. Way to go, Sweetwater!!!! The 2018 Orvis Down the Hatch Fly Fishing Festival is about to get underway! They're All Travel Rods If You Travel With Them! I'm glad Ram was thoughtful enough to put fly rod storage under the back seat, but I'm not sure it's going to suit my needs much longer! I am really looking forward to putting some bends in this Mauser Waterman 486 next week! Got a neat little box in the mail yesterday! The Most Exciting Rods at IFTD 2018! 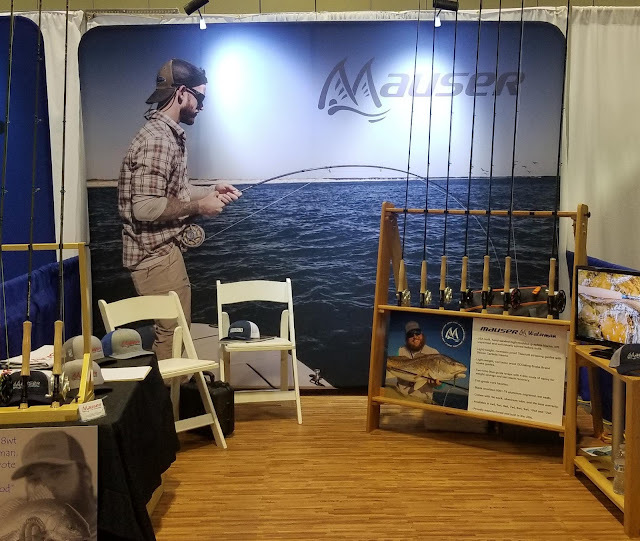 Here's a quick rundown of some of what I thought were the most exciting fly rods on display at the 2018 International Fly Tackle Dealer's Show in Orlando, FL. The show seemed a bit on the smaller side this year, but I think that's due to the change of venue for next year. This isn't an exhaustive list of all the fly rods at the show, nor is it meant to be a study in the new rods on the market. These are the rods that, for one reason or another, caught my interest or got me the most excited. As always, if you have any questions on the rods here don't hesitate to ask! 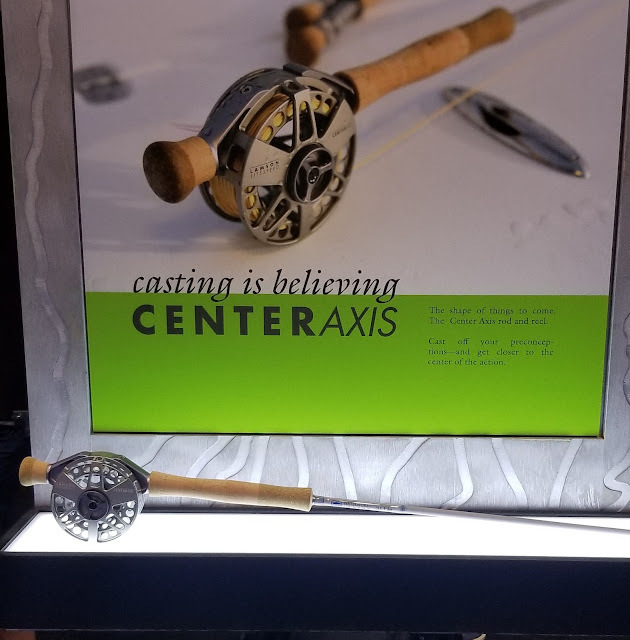 Waterworks-Lamson debuted the Center Axis rod at the IFTD Show 2017, but at this year's show they introduced the Saltwater version of the rod and reel combo. The designers realized pretty early on that the larger and heavier the reel, the more effective the Center Axis design would be. With the 3-piece integrated arch design they were able to transfer more power to load the rod without any accuracy robbing flex between the rod and reel. And, if you like the action of the Waterworks-Lamson rods, but you're not ready to make the leap to the Center Axis innovation, they're available in standard reel seat configurations. Fans of a certain British motoring show might have heard that some of the best English sports cars were built by "blokes in sheds". This pretty much sums up the feeling I got when I met with John Mauser, owner of Mauser Fly Fishing. His passion is contagious, his attention to detail is impeccable and the quality and castability of every Waterman rod reflects his long flyfishing and guiding experience. The Mauser Waterman series fly rods are handmade in North Carolina of the best materials and parts that Mauser is able to obtain. And, he has a constant drive to improve. Just to demonstrate the thought that goes into these rods, Mauser has sourced a US made snake guide that is more circular for less line drag and has concave feet for better connection to the rod blank while using less thread and epoxy to keep the weight down and sensitivity up! That's "just" a snake guide! L.L. Bean had four rods on display during their hosted luncheon this year. Two new rods, the Apex and the Double L, and two updated rods, the Streamlight Ultra II Switch and the Quest Fly Rod Outfit. Apparently I only had lunch on my mind because I only managed to get pictures of the Quest Outfit!! My apologies for my one track mind! The L.L. Bean Quest Fly Rod Outfit, available in 4-9 weight models, 2 piece and 4 piece versions. Includes Rod, Reel, Fly Line, Backing, Leader and reel-on case. L.L. 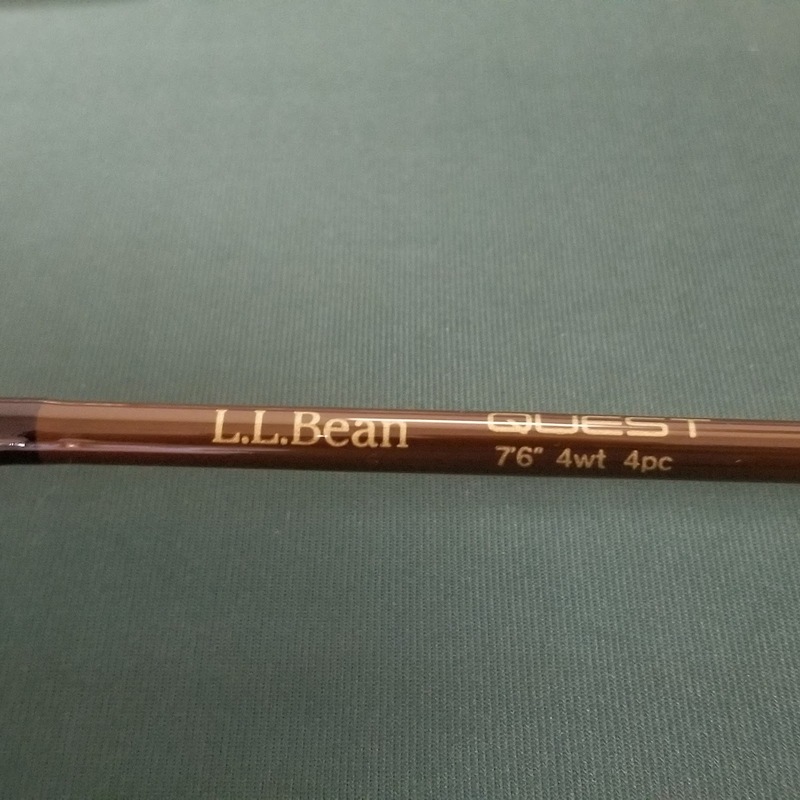 Bean says the Quest Fly Rod Outfit is their "...highest value flyrod outfit ever" at a retail price point of $129-$149. Thomas & Thomas introduced their new Zone series of fly rods and managed to score an IFTD Best of Show Saltwater Fly Rod award with it! The new Zone rods will be available in weights 3-10, with 3- and 4-weight rods being medium fast action and the rest being fast action fly rods. According to T&T, these rods are hand built in their Massachusetts shop alongside their flagship models, but with a much lower price point to bring Thomas & Thomas rods to more anglers than ever before. A rack full of Thomas & Thomas fly rods always reminds me of a box of fine cigars!! Beautiful design, incredible craftsmanship and a joy to handle. Just like a box of your favorite robustos! The Zone rods may be entry level for T&T, but they don't skimp on quality components. Natural finish carbon construction, anodized aluminum hardware, hand rolled blue fiber reel seat, premium quality cork grips and Thomas & Thomas Blue wrapping thread. With Orvis rods the emphasis was on updating classics this year. The entry level Clearwater line of fly rods got a full revamp with completely updated tapers across the whole line. Unfortunately, I didn't get any details on how the taper had changed, but I'll do some research and see what I can find out. I've been using a Clearwater Frequent Flyer travel rod for a number of years now, so I'm excited about trying out this new taper!! For the 2019 model year Orvis has updated the tapers on the whole line of Clearwater rods! Clearwater rods are currently available from 2- to 12-weights and 6' to 14' lengths in single handed and switch/spey varieties. Now that we've got Labor Day behind us, we can start concentrating on the important things in life! Dry flies, rhododendron, small mountain streams and native trout! I couldn't spend time in the Keys without fishing a little bit! Hurricane restoration efforts are still ongoing at Bahia Honda State Park. The day use beach is open and seaweed free, so we did get some beach time in. Pilar on display at Worldwide Sportsman in Islamorada! I really enjoyed checking out the replica of the Pilar on display at Worldwide Sportsman in Islamorada! This boat is actually considered the sister to Hemingway's Pilar that is on display at his Cuban home. I've really become interested in old, wooden powerboats lately, so I was glad to see this one has been so well preserved. Would you rather be in the fighting chair working over a world class billfish or at the helm, piloting the boat as Papa Hemingway lands the big one? I know which I'd choose! Stopped in to check out Florida Keys Outfitters on Islamorada. A great little shop and the go-to in the Keys. Especially if you're after an IGFA record, everything in the shop is certified compliant I was told! Had a rough week for fishing in the Keys, but a great trip nonetheless. The beach and flats we planned to fish were over run with sargassum weed and stunk to high hell. We ended up driving to Bahia Honda just to enjoy the Gulf facing beach (along with everyone else in the area), but they didn't allow fishing. We just took in the scenery, enjoyed the history, a couple museums and a nature park, and ate some Key Lime Pie. More photos to follow! Now Available The Suburban Angler shirts! Running a bit of an experiment here! 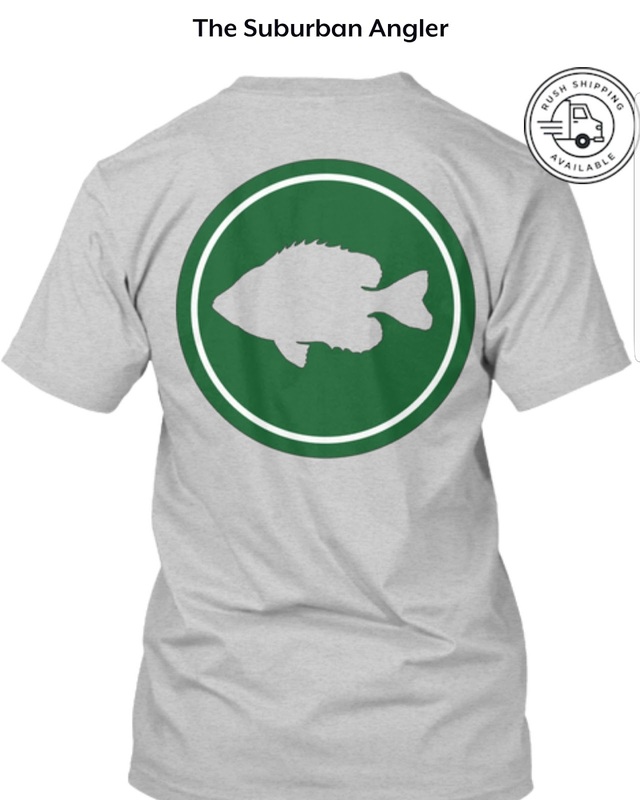 I've approved a limited run of The Suburban Angler logo t-shirts on Teespring. They've been requested a number of times, but I could never find a method I was comfortable with. If you like it visit teespring.com/the-suburban-angler to order. Post a picture of you wearing the shirt and tag @thesuburbanangler on social media and I'll send you a sticker pack to go with it! Thanks for your support!! And we're here!!! The doors are open for the first day of IFTD and ICAST 2018!! It took some doing, but I finally managed to find the IFTD side of things. I walked through and voted in the New Product Showcase (no photos allowed), but, let me tell you, there are some really awesome new products coming out!!! Made it to the convention center and completed registration! Excited for this year's show, but now I sit and wait until the New Product Showcase reception opens! Today is the last day! IFTD and ICAST 2018 starts tomorrow with ICAST On The Water and the New Product Showcases!! While all of the exhibitors prepare their booths, I thought I'd prepare by exercising my casting shoulder and hounding some little sunfish! The IFTD and ICAST 2018 Throwback Countdown only 3 days left!!! The IFTD and ICAST 2018 Throwback Countdown went off the rails a bit, but we're down to only 3 days left!!! At last year's IFTD Show I met the folks from Fair Flies and was introduced to their composite brushes. I love these things! You wouldn't believe how many different materials they pack into them! And, the folks behind Fair Flies are working hard to make a difference in the world! Look them up, read their story and tie up some Fair Flies!! With 15 days to go until IFTD and ICAST 2018, here's a lineup of Taylor Revolution reels! Have you seen the wild annodizing they've been doing lately? Really awesome stuff! And, check out my First Cast video on The Suburban Angler YouTube channel for my thoughts on an early Taylor Type 1 reel. I'm looking forward to seeing what they have in store for IFTD 2018!! I think I might've missed a couple days, but I'm still counting down to IFTD and ICAST 2018. For day 17, this is a hybrid kayak from the folks at Diablo Paddlesports! So may features on these awesome boats were built with flyfishers in mind. Love how clean you can get that deck! !